ASHLAND, Ore. (August 8, 2018) — Work Sharp Outdoor, the leading manufacturer of knife and tool sharpeners, is partnering with Benchmade Knife Company to encourage individuals to #WorkSharpStaySharp in celebration of Annual Knife Day, which takes place nationwide August 24. For years, Work Sharp has proudly partnered with Benchmade by providing Work Sharp products to fulfill Benchmade’s LifeSharp Service to its customers. 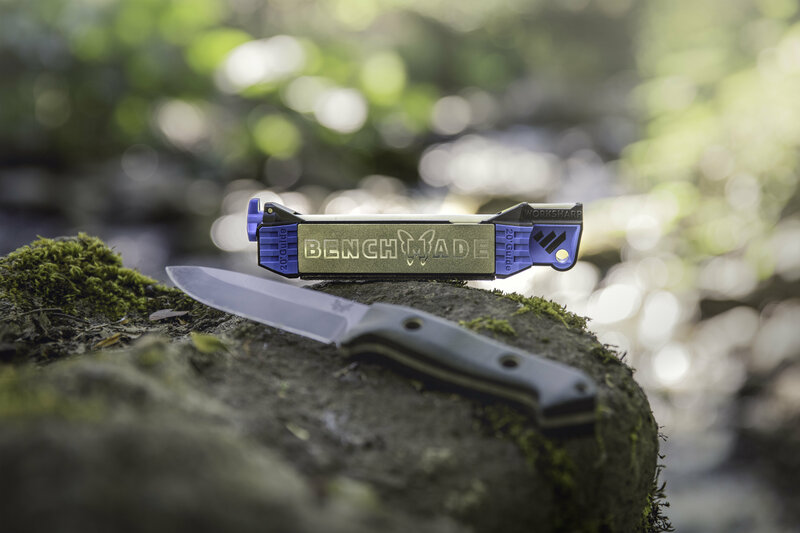 The two family-owned, Oregon-based companies also released a Benchmade-branded Guided Field Sharpener, which is now sold at outdoor retailer REI, online at Benchmade.com, and at select Benchmade factory locations. 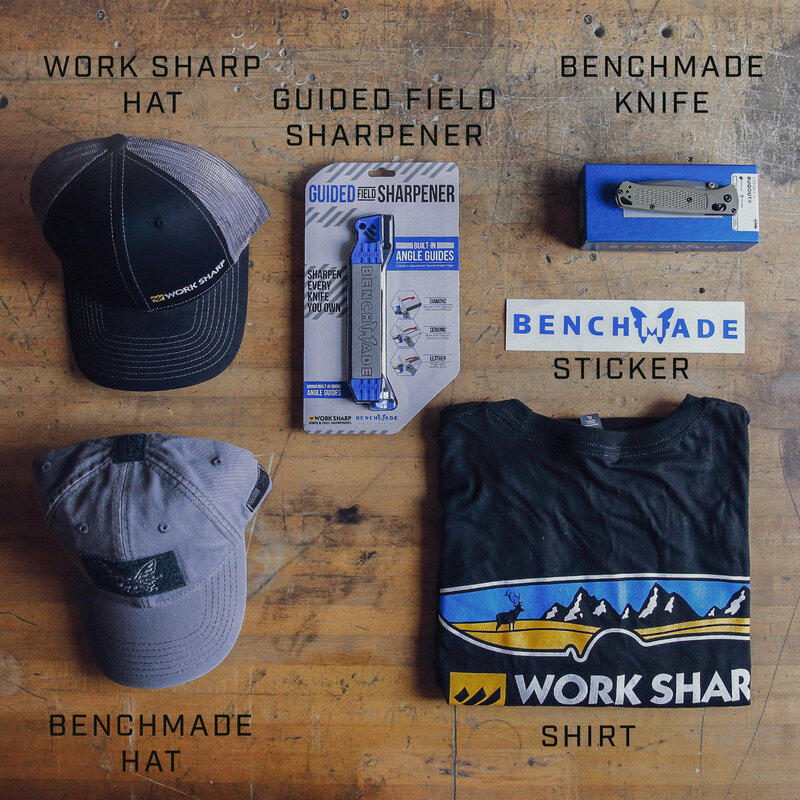 From August 8 to 14, individuals who participate in the #WorkSharpStaySharp campaign will be entered to win the Benchmade-branded Guided Field Sharpener, a Benchmade knife and more. Participants will automatically be entered for the Grand Prize, which will be awarded August 31 and includes: a Work Sharp Guided Sharpening System, Guided Field Sharpener, Pocket Knife Sharpener, Ken Onion Edition Knife and Tool Sharpener with Blade Grinding Attachment, knife signed by Ken Onion, and more. and sign up for Work Sharp Outdoor’s newsletter. Individuals are also encouraged to share how they #WorkSharpStaySharp in the field on their own social media channels. The Guided Field Sharpener is the first angle-guided sharpener of its kind, and offers a complete, robust and compact field sharpening solution. Weighing 0.5 pounds and measuring 6.75 inches long, the Guided Field Sharpener is compact and easy to pack on any adventure. It incorporates five stages of sharpening and honing, each with built-in angle guides. 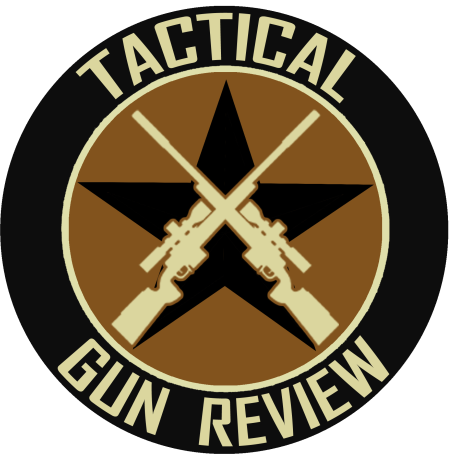 The unit ensures a consistent bevel across the entire length of any blade – flat, curved, or serrated – enabling sportsmen and women to sharpen everything from pocket and fillet knives to broadheads, fish hooks and camp tools. In the field, on the water, at your workbench, or wherever your passion takes you – sharp knives and tools are essential to your success. This month, celebrate how you #WorkSharpStaySharp with Work Sharp Outdoor and Benchmade Knife Company. For more information about Work Sharp, click here. 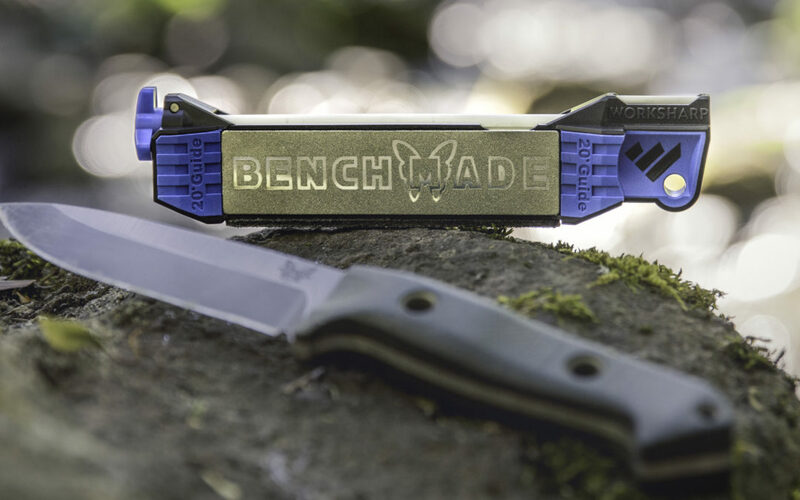 For more information about Benchmade, click here. Work Sharp Outdoor is a division of Darex, a 4th-generation, family-owned business in Ashland, Oregon. Darex has produced industry-leading sharpening tools for more than 45 years. Work Sharp’s complete line of manual and power sharpeners is trusted by hunters and craftsmen worldwide; its longstanding reputation is built on exceptional products that make sharpening faster and easier than other systems in the market, without compromising performance. Today, Darex is over 100 co-workers strong and has sold over 5 million sharpeners.